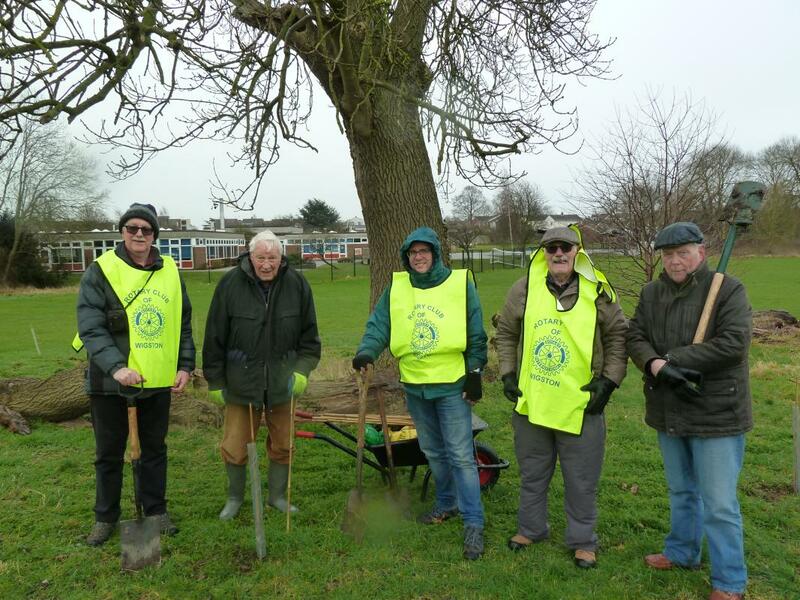 Wigston Rotary Club members take an active interest in community issues, especially those affecting Wigston, Leicestershire and the surrounding areas. Being part of Rotary means giving something back to the communities in which we live or work. We recognise that we can use our skills and knowledge to help others and make our communities a better place, while at the same time having a good time and fostering friendships. Much of our activity is focused around fund raising to support local charities and organisations. 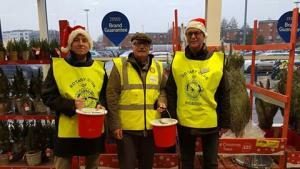 In addition to our annual Music in the Park concert (which has LOROS - hospice care for Leicester, Leicestershire and Rutland - as its main beneficiary) we hold Christmas collections at Tesco, South Wigston and in Bell Street, Wigston with recent beneficiaries including Menphys, Bridge Leicester, Vista, and Heart Link. 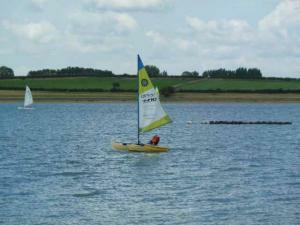 We also contribute to the running of a boat with Rutland Sailability (rutlandsailingclub.co.uk/sailing-club/fleets/sailability) helping them to provide sailing opportunities to disabled people of all ages. During 2019 we will be sponsoring a local school to take some of its pupils to Warning Zone (warningzone.org.uk). This project provides an interactive opportunity for the children to understand the risk and consequences of their actions in various scenarios and encourages their responsible behaviour and sound decison making. We also recognise that our young people are citizens of the future and seek to support them and encourage their development through Youth Competitions and other activities. 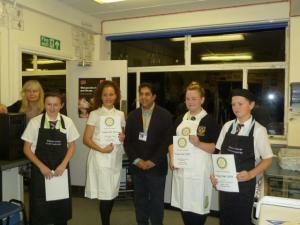 In recent years we have worked with local schools in Young Chef and Young Writer competitions, with the winning entries going on to represent Wigston Rotary Club in District competitions. In February 2018 a young person sponsored by us will also attend a leadership development course (Young Rotary Youth Leadership Awards) organised by our Rotary District. Another child represented the club at the District's Youth Musician Competition. The environment is also important to us and in February 2018 we planted 30 trees in the grounds of Little Hill School. Wigston. A further 30 trees were planted in November 2018.